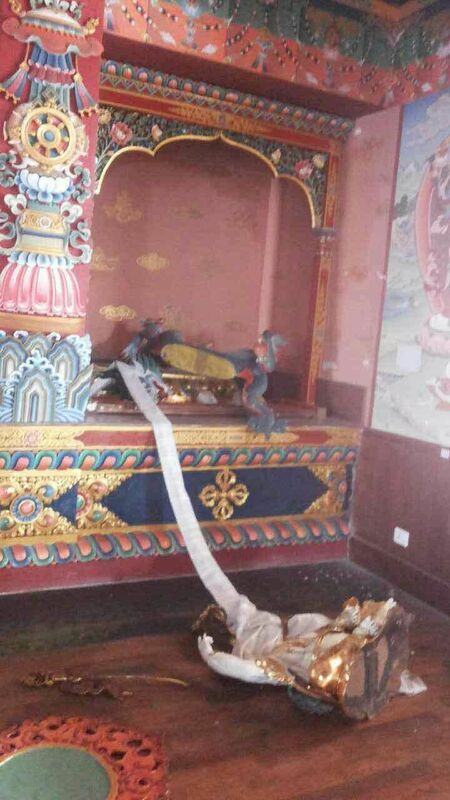 The Tenshug (Long Life) Ceremony for H. E. Chöje Ayang Rinpoche at Thupten Shedrub Jangchub Ling Monastery in Bylakuppe continues April 30 to May 3 2015. 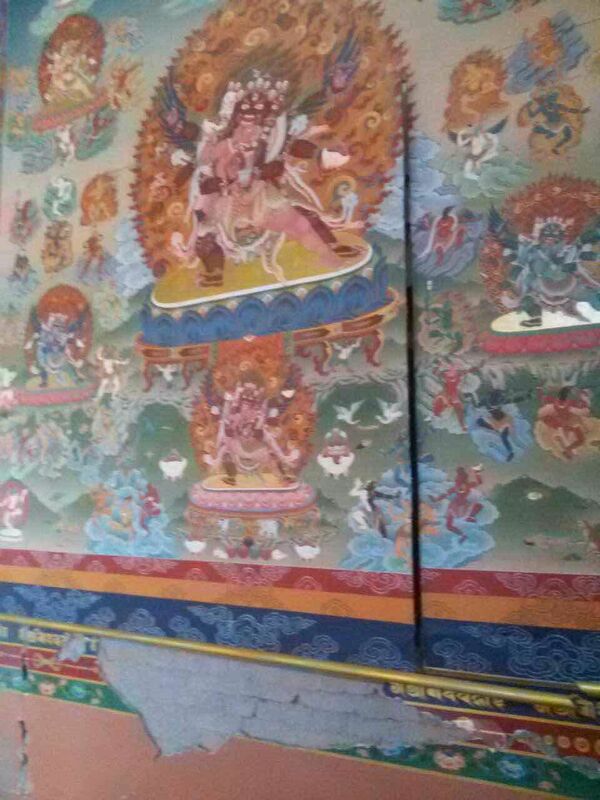 Read more about the Tenshug ceremony. 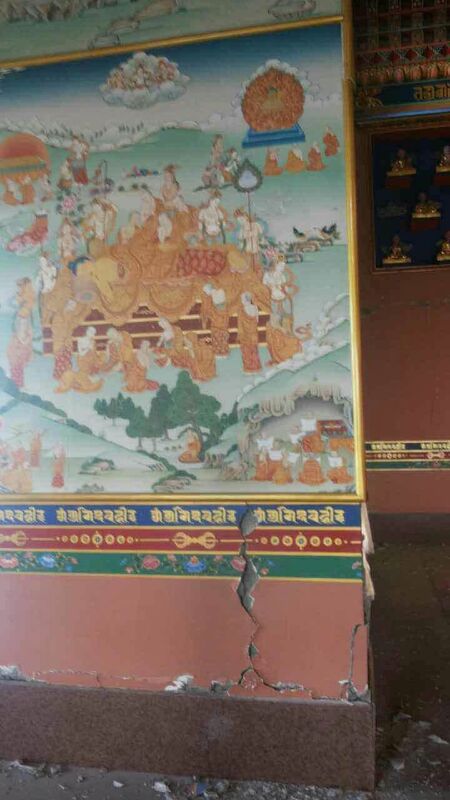 For additional photos visit H.E. 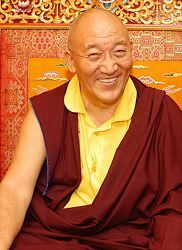 Choeje Ayang Rinpoche on Facebook. 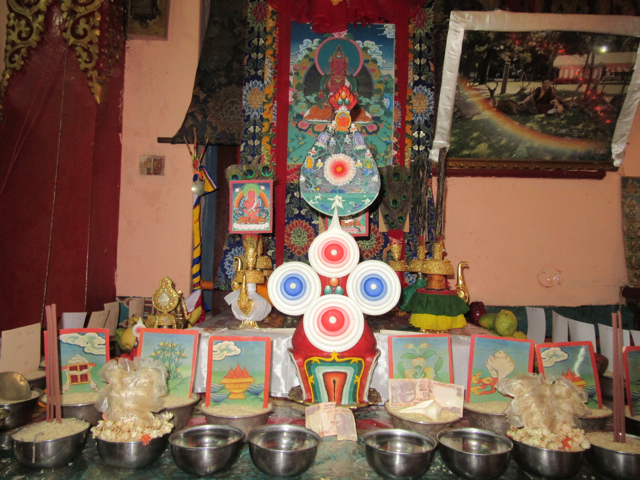 Offerings to support the ceremony are welcome. 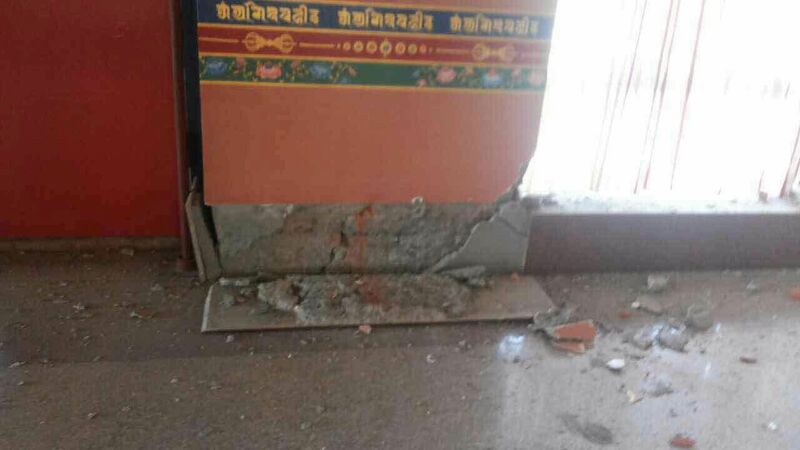 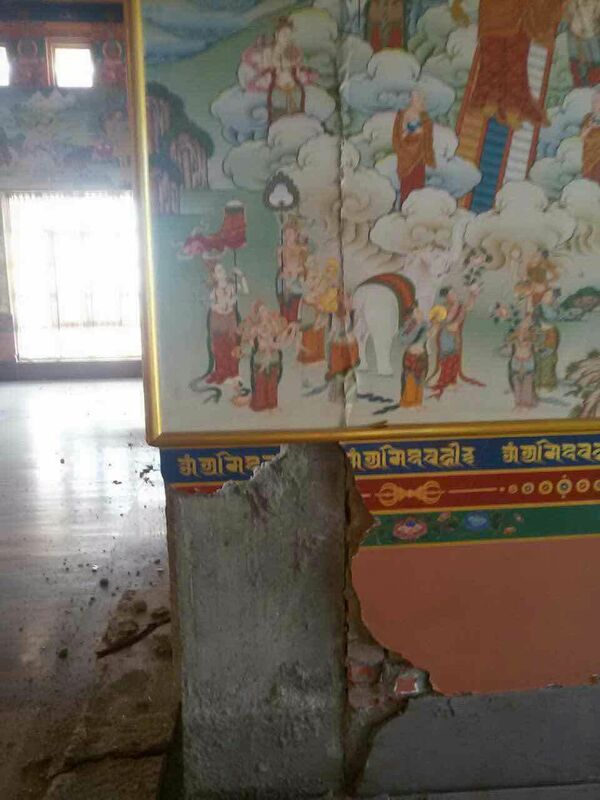 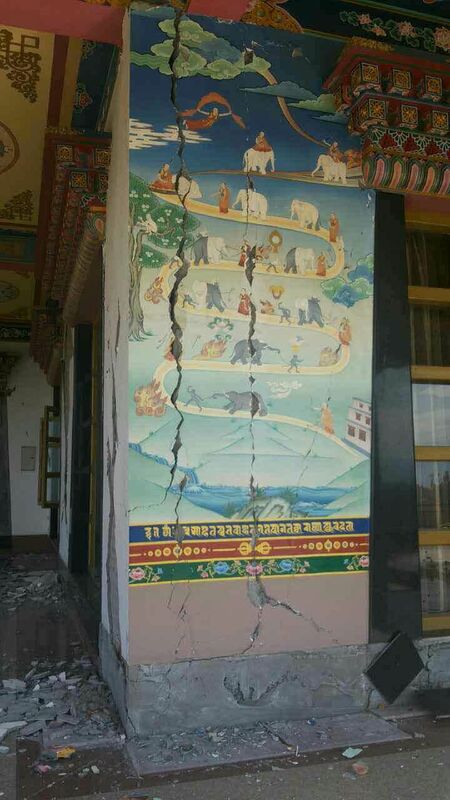 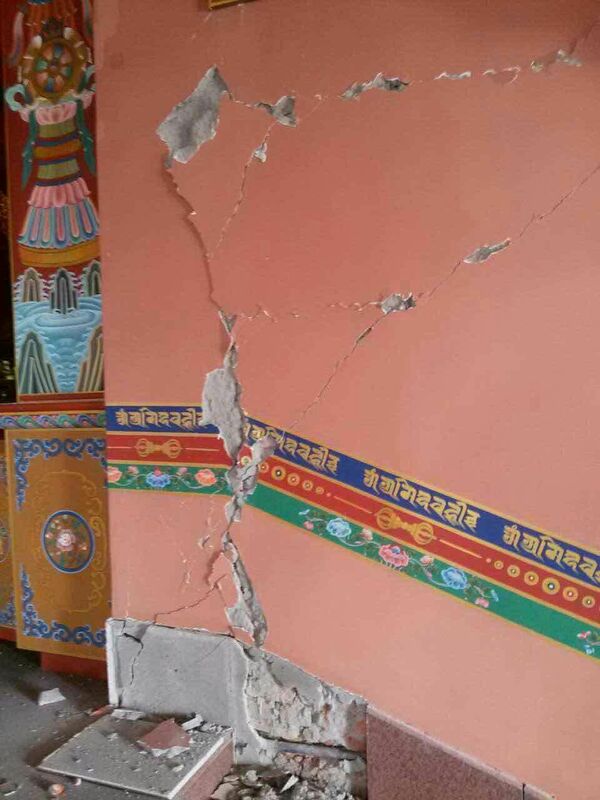 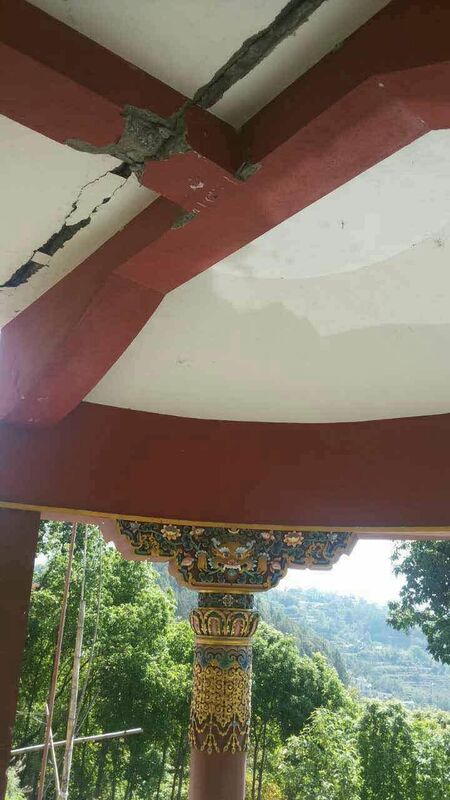 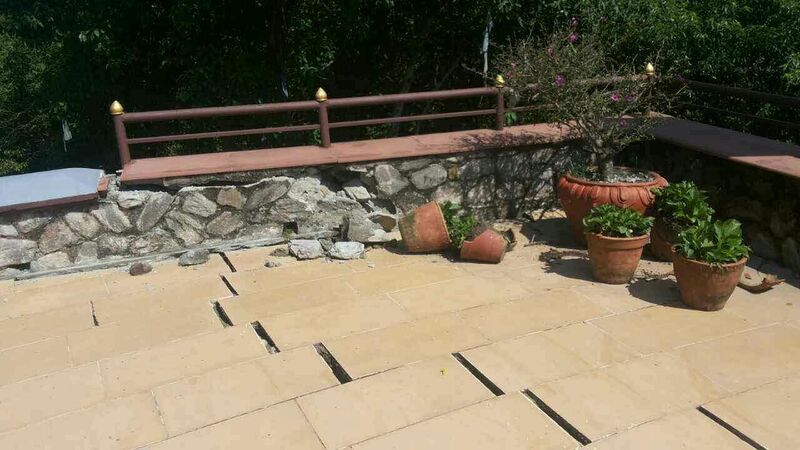 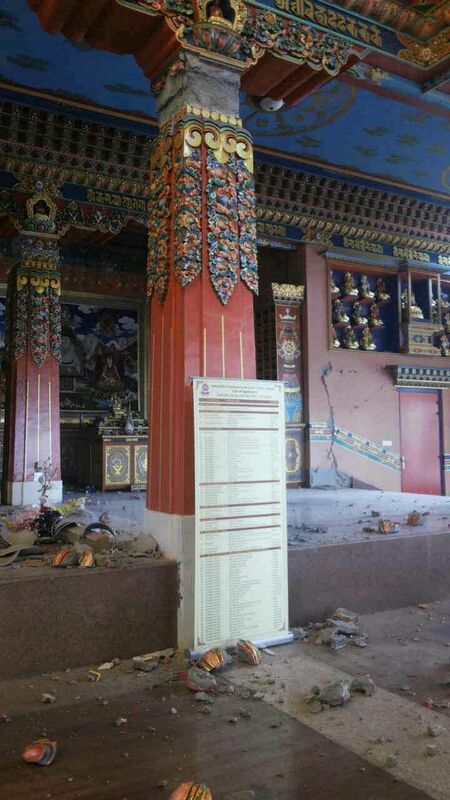 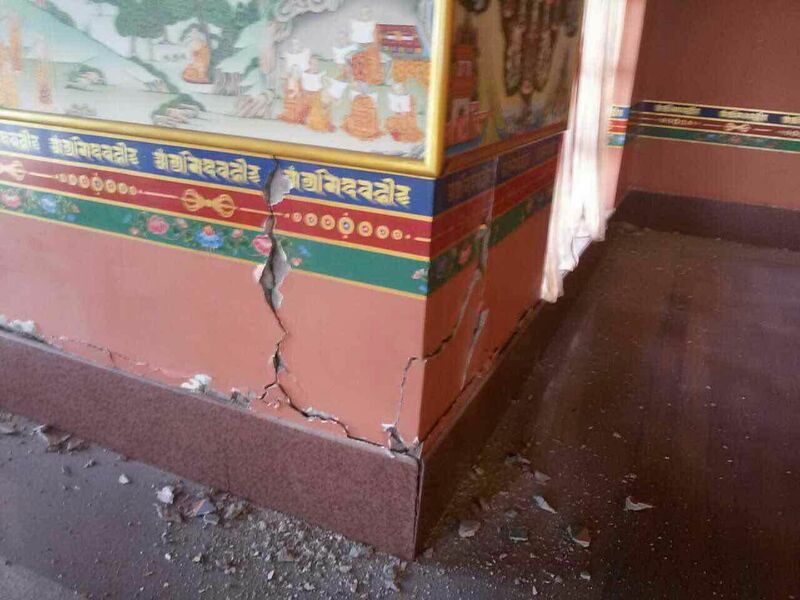 Rinpoche has arranged that donations can be made for humanitarian earthquake relief as well as for repair of the Amitabha Foundation Retreat Center temple. 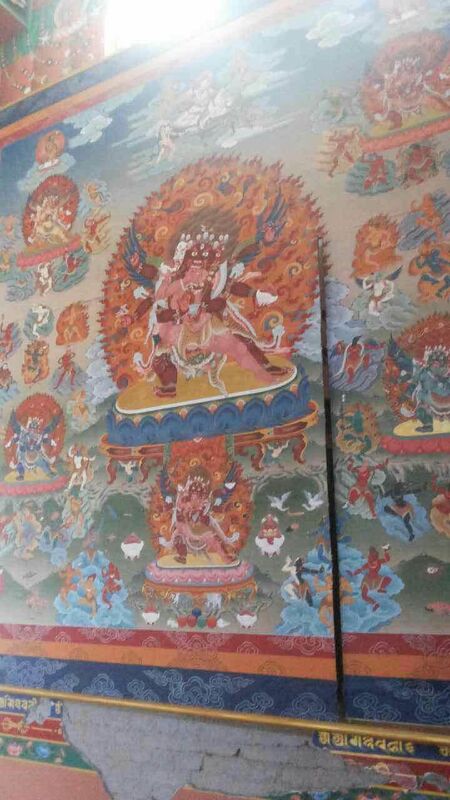 Please scroll down to find the links. 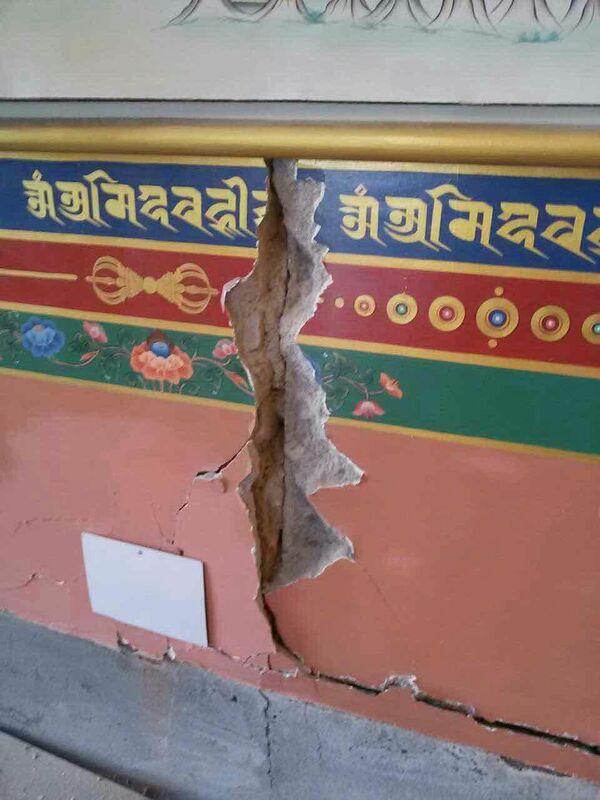 You may send your donations directly to the Amitabha Foundation Nepal account (see below; indicate either “Nepal relief” or “temple repair”), or make a US tax-deductible donation by credit card or PayPal for Humanitarian Relief or Temple Repair. 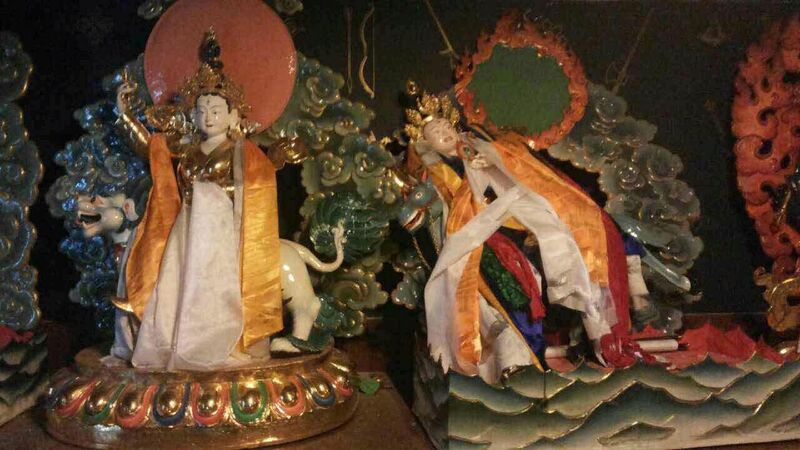 You may also send a check in USD to Amitabha Foundation, P. O. 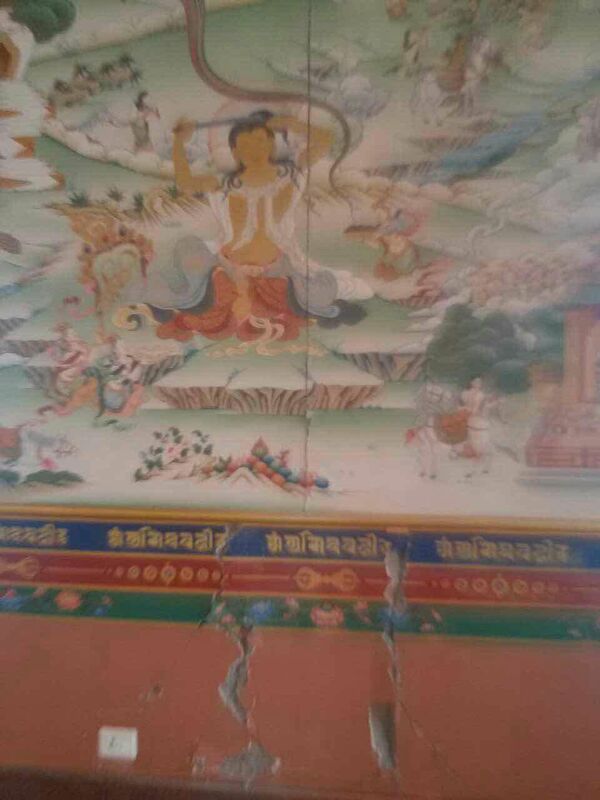 Box 2572, Aptos, California 95001. 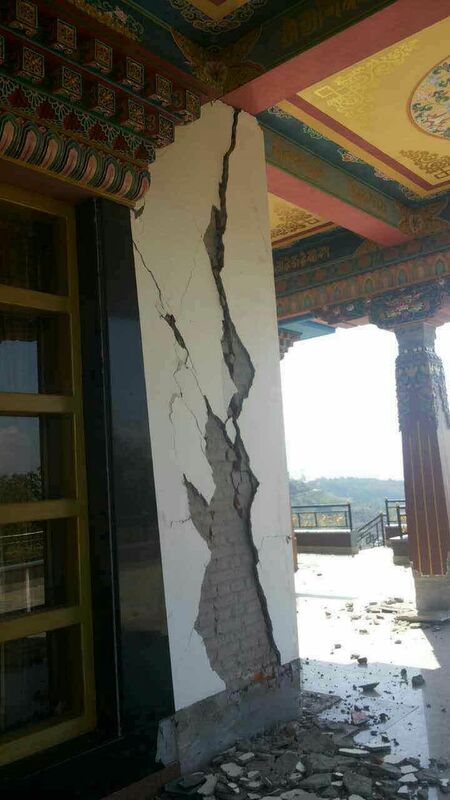 Please indicate on your check either “Nepal relief” or “temple repair”, or how you would like the funds divided. 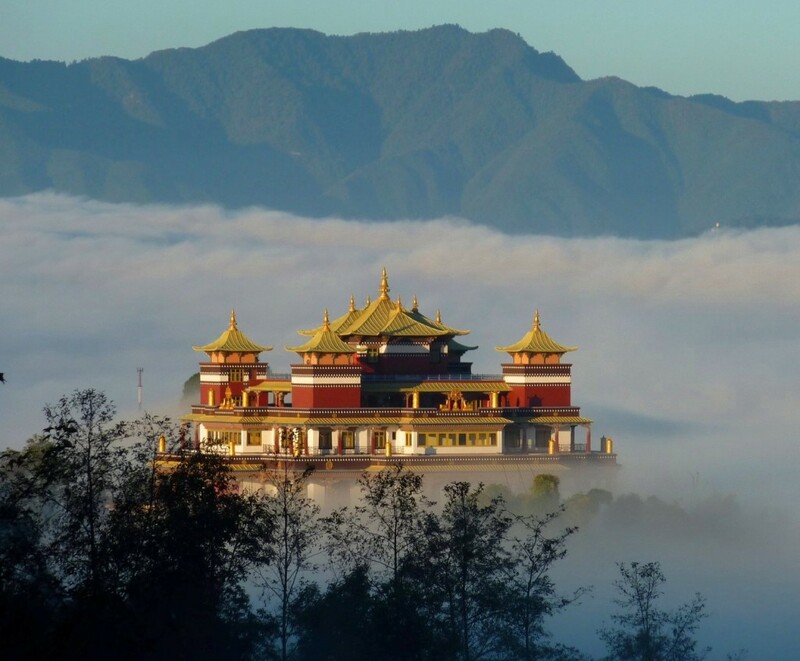 The present Ayang Rinpoche is the seventh incarnation of the founder of Ayang Monastery in Eastern Tibet (Kham), which was built more than 400 years ago as a branch of the main Drikung monastery. 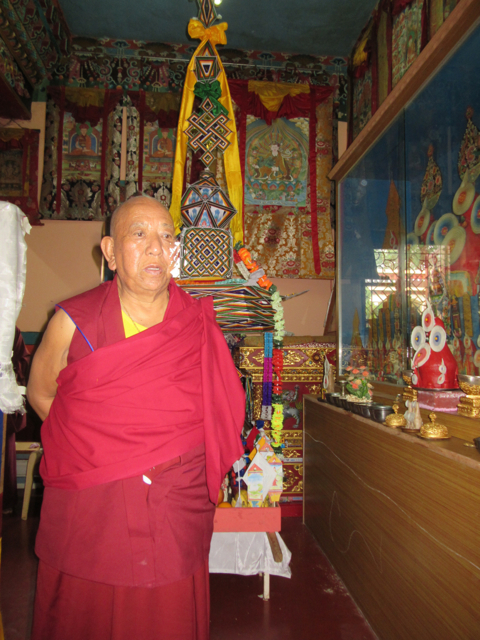 When Rinpoche visited the area in 2003, he decided that the original monastery was too remote and that the nomad community and the monks would benefit from having it relocated. 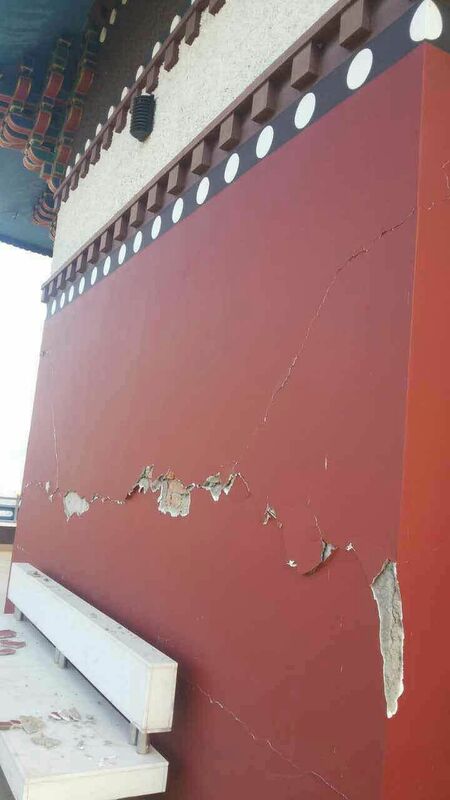 Rinpoche received permission from the Chinese government to relocate it on the shores of Nying-je Tso (“The Lake of Compassion”), about 3 hours west of Jyekundo (Chinese, Yushu) in Qinghai province. 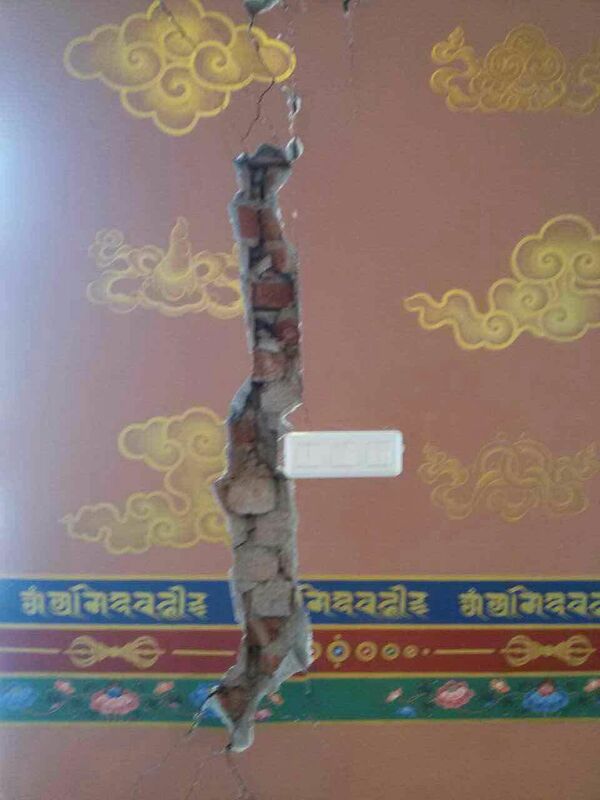 The new monastery has been under construction since that time. 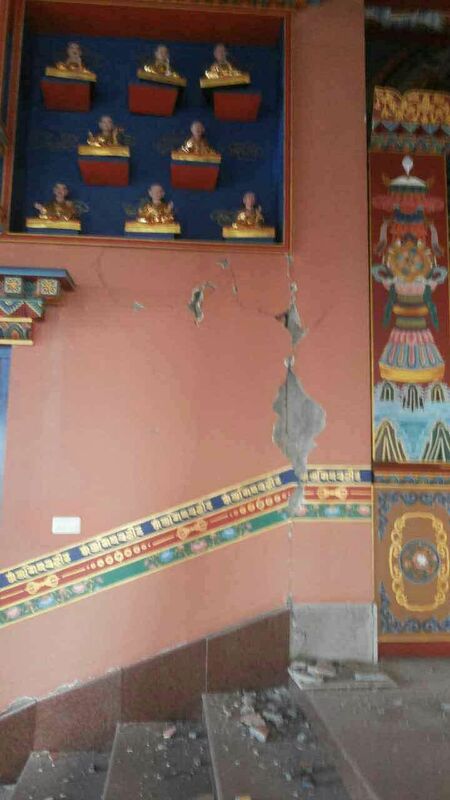 Damaged in the great 2010 Yushu earthquake, it is now nearly complete. 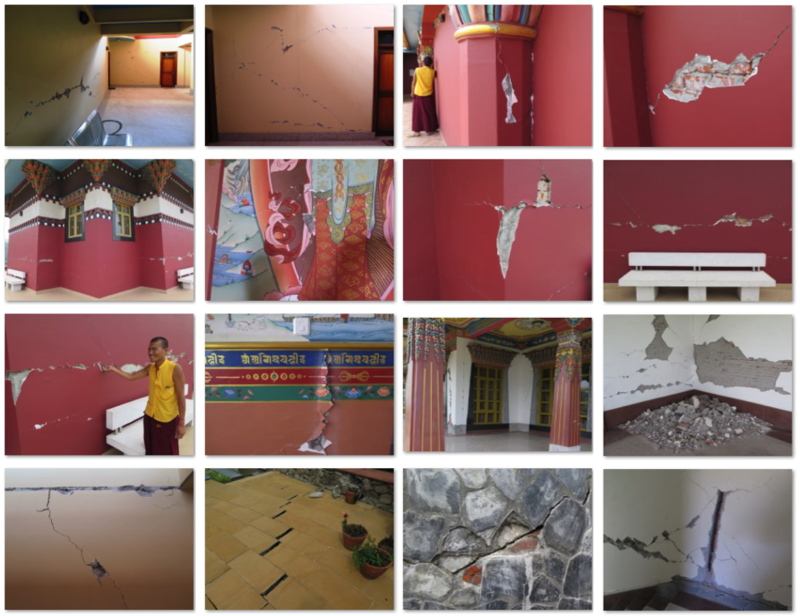 To see a slide show of monastery photos click here. 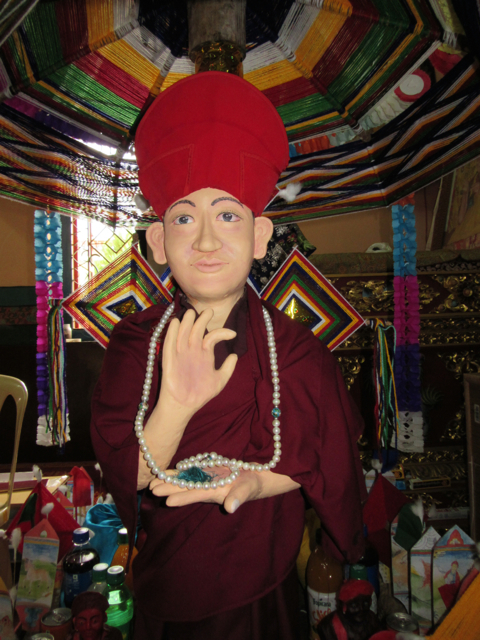 Ayang Rinpoche will be visiting his monastery for the consecration ceremony, August 8, 2014. 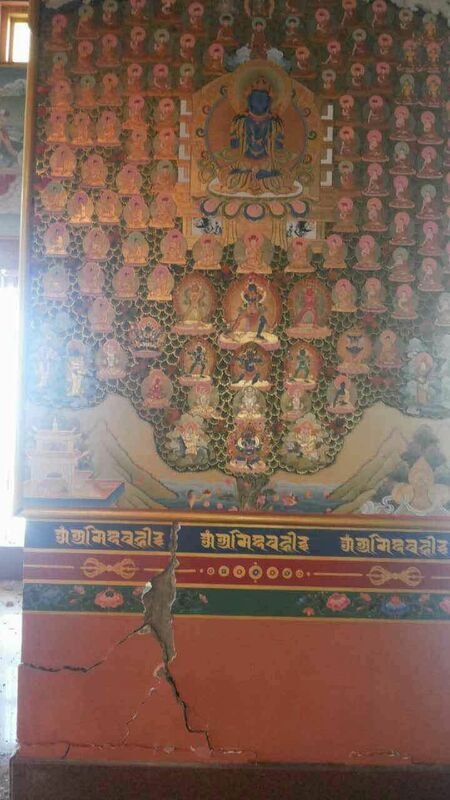 To make an auspicious connection with the new monastery and the ceremonies surrounding the consecration, sponsor butterlamps, tsok, tea and bread for the monks, money offerings for the monks and lamas, or ritual offerings (statues, mandalas, bumpas, bowls, capalas, etc.). 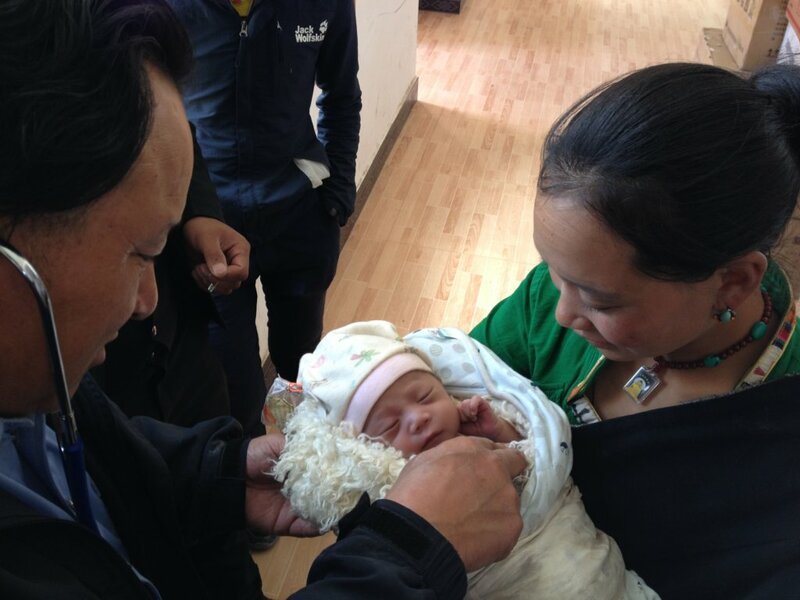 Rinpoche will also be visiting the clinic to see the new solar electricity and heating system and meet the doctors, midwife and Community Health Educators who have been working for our Safe Home Childbirth program. 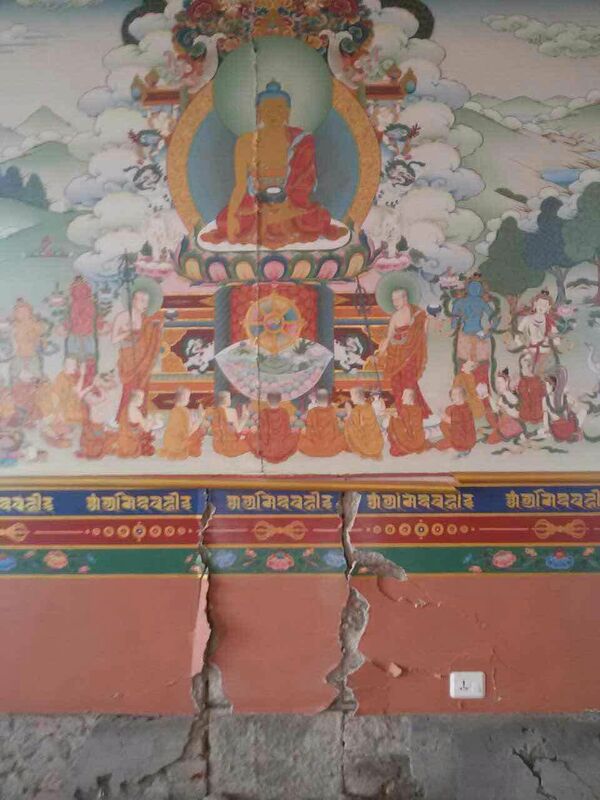 We want to take this opportunity to thank all the wonderful medical and public health professionals, grantors and individual donors who have supported our Tibetan health and education projects over the past 10 years, especially those who donated to and shared our June GlobalGiving campaign.